If you are an off-road driving enthusiast, the new Ford Racing SVT Raptor Assault Program will have to be at the top of your bucket list. That would be must-things that have to be done before you “kick the bucket.” Some things in life are just too good to pass up, and this is one of those must-experience opportunities. Ford has announced “The Ford Racing Raptor Assault Program” that will feature hands-on high-performance off-road driving at the Miller Motorsports Park outside Salt Lake City, Utah. If you’ve never driven the Ford F-150 SVT Raptor off-road, it’s an experience you don’t want to miss. The extreme off-road vehicle is the only production-ready vehicle on the market. It can be driven as an everyday driver, and offers extreme high-performance off-road ability on the weekends. Ford has sold more than 28,000 SVT Raptors, making it the best-selling specialty truck ever from Ford. And now fans and owners can experience the off-road capabilities of the Raptor at a state-of-the-art off-road course. 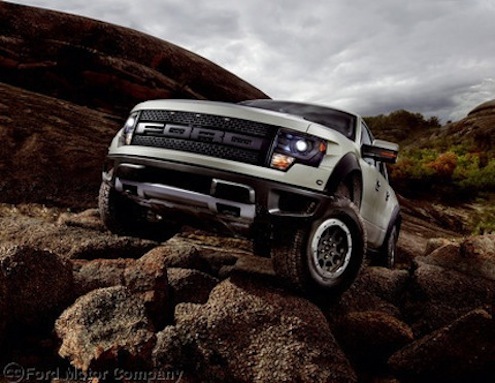 Ford is offering the Raptor Assault Program at Miller Motorsports Park which is a state-of-the-art road racing facility for automobiles, motorcycles and karts located near Salt Lake City, Utah. It’s considered by off-road enthusiasts to be one of the finest race tracks of its type in North America. The park opened in 2006 and is host to many of the world’s most significant racing series and is home to a performance driving and motorcycle school. Ford is partnering with the extreme park and its professional drivers to give Raptor enthusiasts the opportunity to experience the production truck in the most extreme environment. Participants will be able to push their off-road driving skills to the limit while they are behind the wheel of the 2013 Ford F-150 SVT Raptor. Ford is smart in marketing the Assault Program to current owners and potential buyers. Anytime you can get consumers behind the wheel of your product, good things usually happen. The extreme course will offer drivers of all skill levels the opportunity to get behind the wheel of the SVT Raptor on the 22-acre high-speed off-road short course, and a 900-acre desert racing course. Drivers can chose three different courses to try out their skills: a hot laps ride-along program; a three-hour Raptor Assault Experience that includes driving on the rock-crawling course and off-road short course, plus hot laps with a professional driver; and a one-day school that includes driving on all three off-road facilities in addition to hot laps with three professional drivers. John Williams is a top-rated driver in the National Rock Crawling/Racing Series, Dan McKeever is the Director of the Ford Racing High Performance Driving School, and Melanie Snow has been racing since she was 18 years old. Watch the Raptor Assault video with Brian Deegan here.